After a week in Guanajato we weren't ready for another city so we just spent an afternoon in Oaxaca checking out the main plaza. 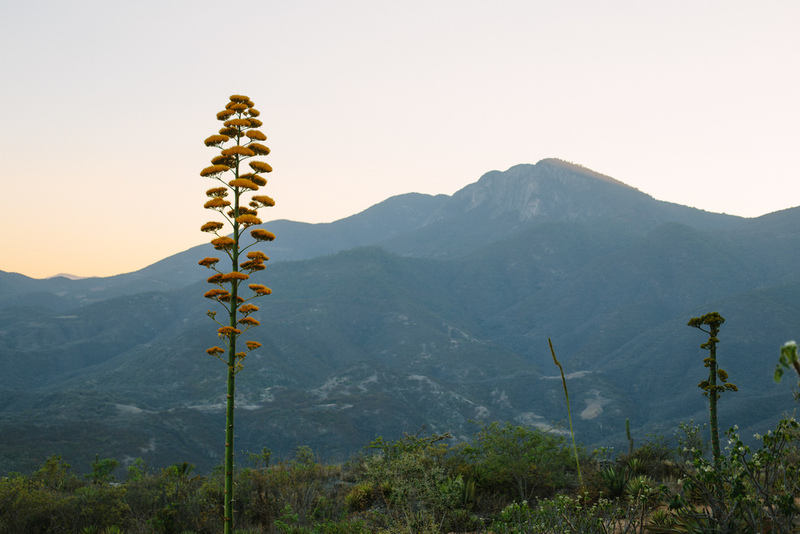 We were more interested in the natural beauty that Oaxaca state has to offer. 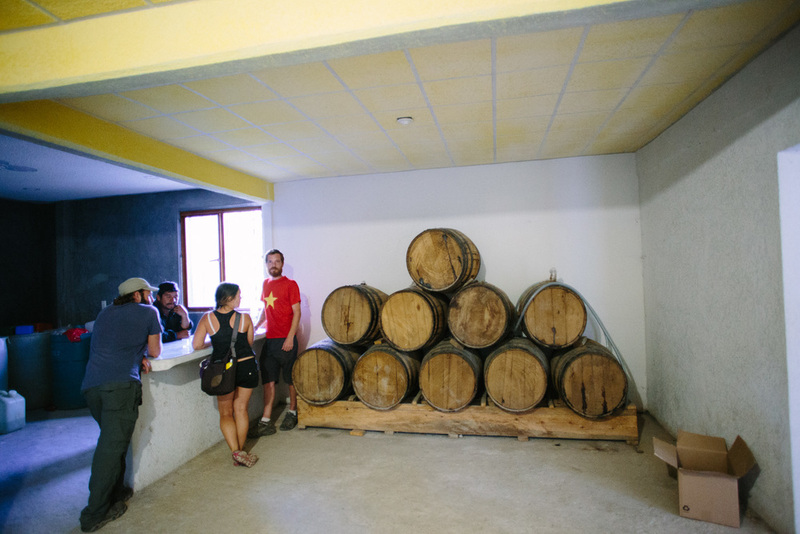 On our way to our camping destination we happened across a backyard mezcal distillery. Oaxaca in general, and specifically this region of the state are famous for mezcal, especially the many small scale artisanal producers. 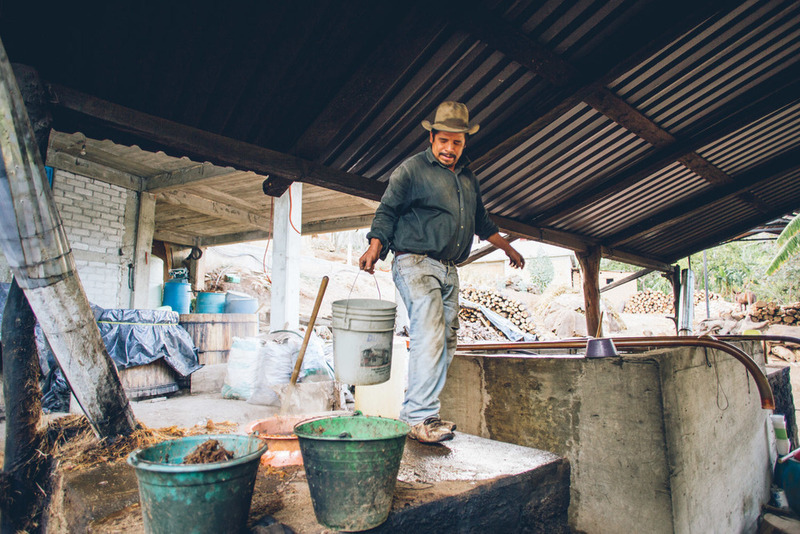 These guys still mash their agave with a donkey-drawn grind stone and use huge open air wooden barrels for the fermentation. They then put the fermented liquid in a wood fired copper pot still. It reminded me a little of moonshiners back home, except instead of hiding in the woods, they give you a tour and fill up whatever bottle you happen to have on hand. Next stop, and where we would hold up for a few days, was Hierve el Agua, translated roughly as “boiling water". The water at the springs here does bubble, but they are cold springs not the hot variety. Which was perfect because it was quite hot outside. The mineral-laden water spills down into pools perfect for swimming and then runs down the side of the mountain. Over time the minerals have built up to form what looks like frozen waterfalls made of stone.